During the evening a Lexus UX with a custom wrap will also be on display. 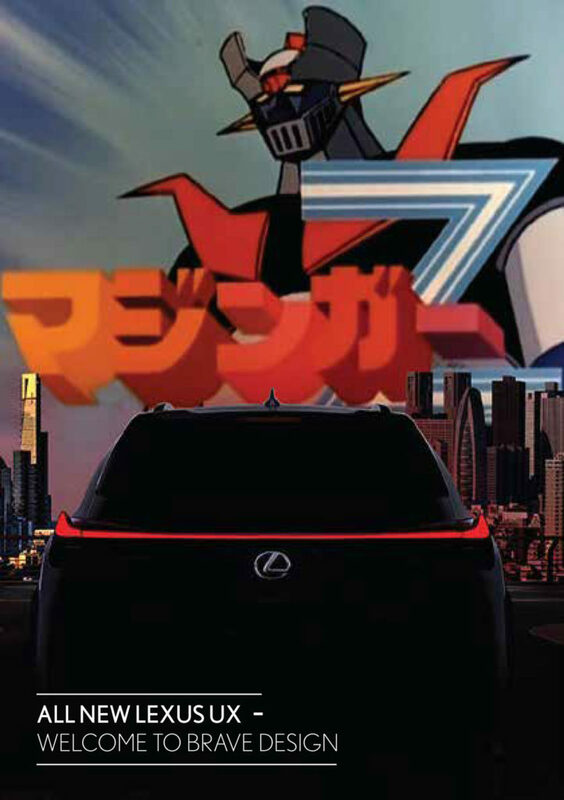 A key design inspiration for Chika Kako, the first woman chief engineer, of the all-new Lexus UX was Mazinger Z. Chika Kako always remembered childhood days spent watching anime cartoons with her brother. The SUV’s bright red rear light bar reminded her of the Hulking manga robot on the small screen in the late 70’s and 80’s. Join us and be inspired by Lexus Brave Design. Come along for a fun evening. Posted March 23, 2019 by RA & filed under General Interest, Visits.